If you’re looking for Fusion Cash Complaints, you’re not going to find very many within this review. Of course I will be covering some complaints, but for the most part, I liked almost everything Fusion Cash had to offer. 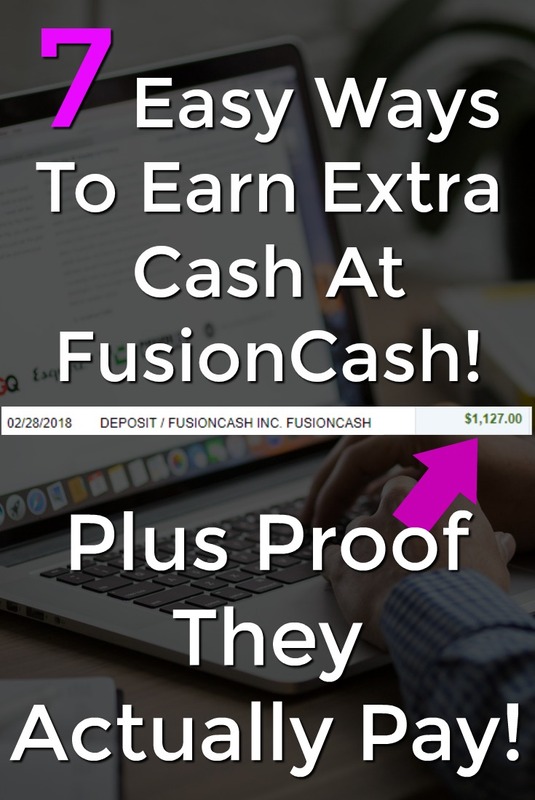 Fusion Cash is what I consider a “paid to do” site and is one of the best ones I’ve seen in a while. It’s very similar to a site called SwagBucks, but a few things that differ like the fantastic Fusion Cash Referral Program. Please understand that using Fusion Cash or any other reward site will never make you much money. If you’re serious about making a large income online, check out My #1 Recommendation, it’s how I made over $13,000 online last month! Don’t worry I will be covering everything within this Fusion Cash Review, so let’s get started! In this Fusion Cash Review, I gave the site a very high score and marked it legit. Fusion Cash is one of the better “paid to do” sites I have run in to. They offer many ways to earn, make quick and easy payments, and the small details of this site are just as good as any other site. They offer a generous sign-up bonus and have one of the best referral programs I’ve ever seen. I highly recommend Fusion Cash, and I will show you why in the rest of this review. Fusion Cash does provide surveys for you to take. I like this section because the surveys pay well, and they are Fusion Cash surveys and not other survey sites that you must join just to take some surveys. Most of the surveys can be taken each day, and if you do not qualify for a survey, you will still earn $.01 for the time. This is what most other sites call offers. You’re given a list of offers or sites to join and are rewarded anywhere from a couple of cents to a couple of bucks for your time. They also have a few paid offers that require you to purchase an item or sign up for a free credit card trial. These pay much more as you can guess. This was a new section to me; I’ve not seen it on any other sites. In this section your given a phone number that you can call. You need to stay on the phone for a required amount of time and talk to someone who is usually trying to sell you something. Once the time is past, you get paid. This portion of the site is a link to a 3rd party called Radio Loyalty. You earn $.03 for every 30 minutes of radio that you listen to. If you’re interested in this part of the site, I would just sign up for a Radio Loyalty Account because you will get paid more by not going through Fusion Cash. You actually can get paid to watch videos! You will see a list of videos that you can watch. All you need to do is open the video, watch it till the end, and your account will be credited. These usually pay around $.02, but adds up quick, and I bet you’re not getting paid to watch videos now. This portion of the site lets you get paid to visit websites. You must view at least four sites for a total of 2 minutes and 30 seconds after you get paid $.15. This is only available once a day, but you get paid pretty well for just a few minutes of viewing a website. Tasks are also provided by a 3rd party company called CrowdFlower. I am not a huge fan of the tasks section because they pay very little, and you do have to sign up for an account to make it all work. Most of the tasks have to do with taking surveys about information that you find on websites. This portion of the site is very similar to Ebates. You visit the shopping part of Fusion Cash and locate the store you would like to shop at. Click the link to the online store and shop normally. Once you purchase your items, you will be rewarded with a percentage of cash back on your purchase. Personally, I think the rates are pretty low; I’d stick with Ebates. They pay much better and have more stores to choose from. Fusion Cash offers three different ways to get paid Check, Direct Deposit, and PayPal. With each method there is a $25 cash out amount and the payment system works the same way. When you reach the cashout amount and request a payment, Fusion Cash will approve it on the 20th of the month. Checks: 2-5 Days after the 20th. Personally, I prefer PayPal and have only been paid by PayPal. In my experiences payments usually, come within 24 hours after being approved on the 20th of the month. I can go on and on about Fusion Cash being legit and paying their members, but I might as well show you. Here is one of my most recent payments from Fusion Cash. I decided to do the last few as Direct Deposit and received by payment on the 20th. You can see a screenshot of the $44.72 payment below! Fusion Cash has one of the best referral programs that I have ever seen from a “paid to do” site. Here is a breakdown of the program. For every friend you invite who confirms their email, you earn $1. For every referral who completes one paid offer, you earn $2. 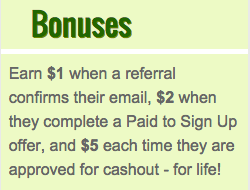 Every Time Your Referral Cashes Out their earnings you earn $5. You’ll not be earning a percentage of their earnings, but honestly, $1 is more than 99% of your referrals will earn you. You’re given plenty of tools to help you get referrals. A personal URL link will be available to email to your friends or post on social media. You’re also given about 20 different banners to choose from. You can see an example at the bottom of this page. As always, no site is perfect, and I wouldn’t be doing my job if I didn’t touch on the complaints of Fusion Cash even though I do recommend this program. Fusion Cash is what I like to call a supplemental income opportunity. This means it’s some side cash to go along with the money you earn from your job if you have one. Fusion Cash is not going to make you rich unless you can get a ton of referrals, but that means you probably have a high traffic website, so you’re probably already making some good money with other programs as well. As long as you know that this is not a get rich quick scheme or huge money generator you should be satisfied because it is completely legit. Fusion Cash does have a $25 cash out amount. Within the industry, it’s a bit higher than I usually recommend, but earnings do add up quickly, and if you stick with it you can easily reach this amount each month. Although it’s high, I have seen much higher, and since the rest of the program is so good, I don’t have a huge problem with the $25 cash out amount. Fusion Cash is a completely legit and scam free “paid to do” site. I have been paid by this site multiple times and highly recommend this site to anyone who is looking to make some side money each month. Especially if you can refer your friends, you will easily reach the cashout amount each month. If you would like to join Fusion Cash and get a $5 Sign Up Bonus, just click the picture below! If you would like to learn more about similar sites that I recommend just out all scam free jobs. Again, please do not expect a large income from Fusion Cash. 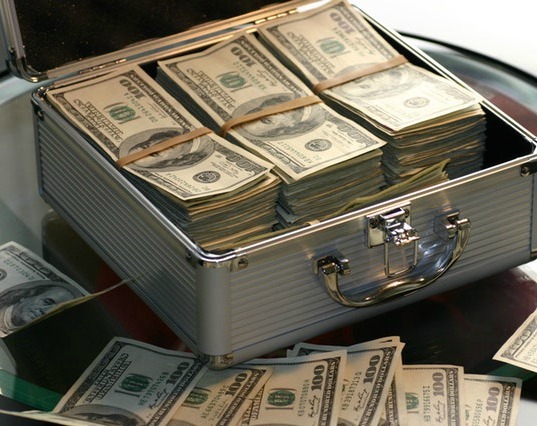 The ways to earn just don’t pay enough to make this a large income. If you’re serious about making a full-time income online, check out My #1 Recommendation, it’s how I made over $13,000 online last month! Thank you for reading this Fusion Cash Review. This site is completely legit, and I highly recommend it, I went ahead and included my Fusion Cash complaints because I wouldn’t be doing my job if I didn’t, but I think you can see that site is completely legit. If you have any questions, make sure to leave comments!